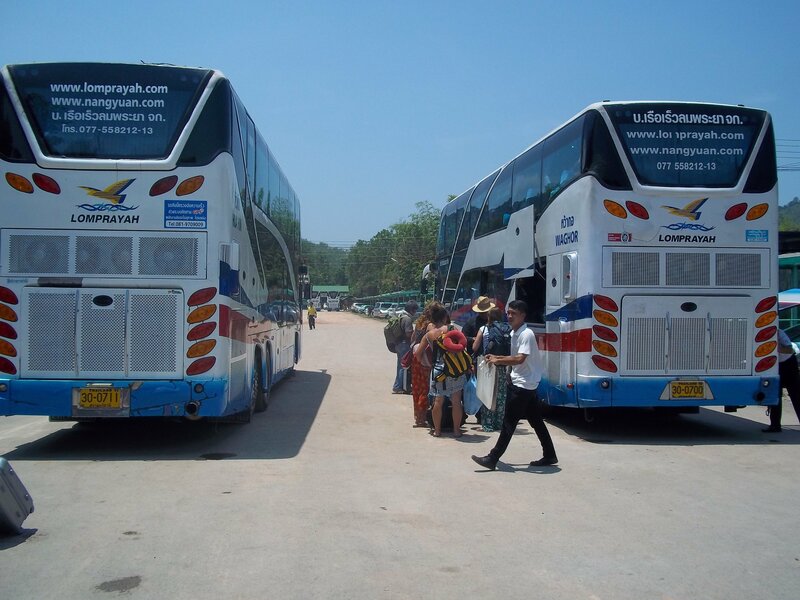 There are five direct services a day from Pattaya Bus Station to Aranyaprathet. This cheap bus service is provided by the Yellow Bus Company. The Yellow Bus Company uses modern air-conditioned buses with a toilet on board. A snack is provided and passengers can carry 2 items of luggage with a combined weight of up to 15 kg at no additional charge. Aranyaprathet Bus Station, the final destination, is 264 km from Pattaya Bus Station. The bus stops on route about halfway for 30 minutes at a roadside restaurant where passengers have the opportunity to use the free toilets and eat a meal before carrying onto their final destination. The border crossing to Cambodia is 6.5 km from Aranyaprathet Bus Station. This should be a 12 minute journey in a taxi or a tuk tuk along the main road running through Aranyaprathet, the Suwannason Road. A tuk tuk should charge 60 THB to 80 THB for the journey from the bus station to the border. Motorbike taxis charge around 40 THB for the same journey. In a shared pick up truck taxi, called a ‘songthaew’ in Thailand (pronounced ‘song-tao‘), should cost 15 THB although as a foreign visitor you may be charged more. Always agree the price before you start the journey and never go with a tout insisting that you take the ‘Government Bus’ to the border. This is a scam. The border crossing is open from 08.00 to 20.00 every day. Do not forget to bring a passport photograph and only use the official Thailand and Cambodia Immigration desks. 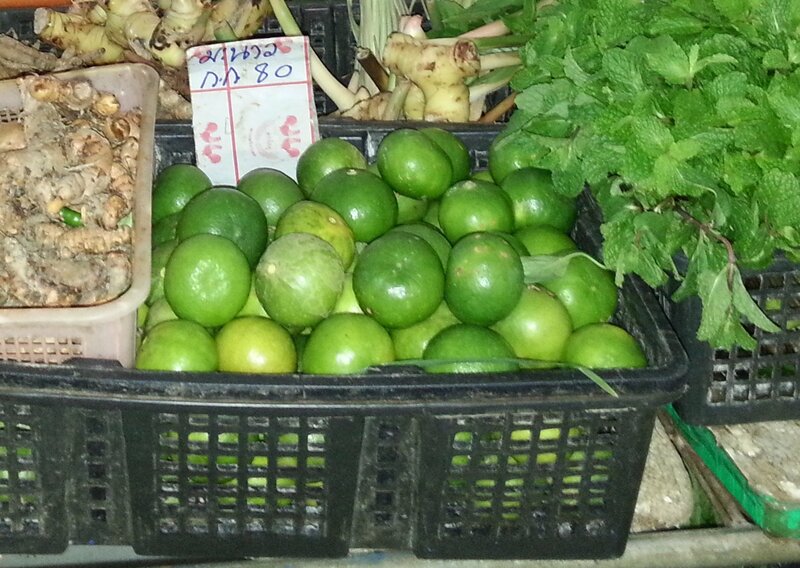 Once you have entered Cambodia you arrive in the Cambodian town of Poipet. 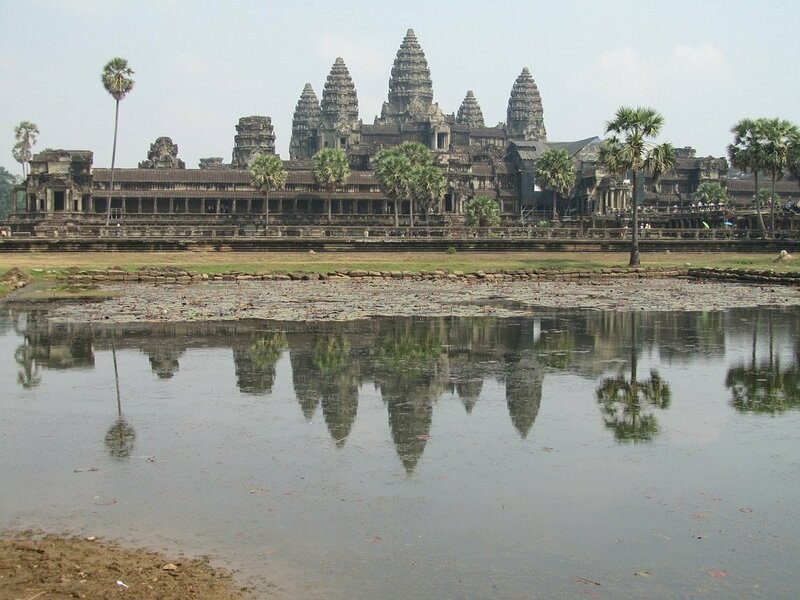 Siem Reap, the town adjacent to the famous Angkhor Wat temple complex, is a 3 hour bus journey away from the border. 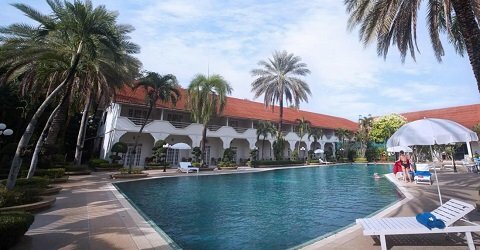 The Indochina Hotel is an inexpensive hotel with a swimming restaurant, restaurant, bar and nicely decorated rooms with satellite TV, free WiFi and en suite bathrooms. 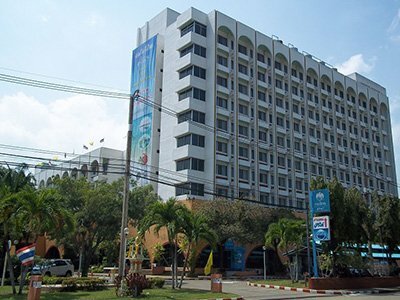 The Indochina Hotel is 1.8 km from Aranyaprathet Bus Station and the hotel provides a free minivan service for guests to the immigration office at the border with Cambodia.